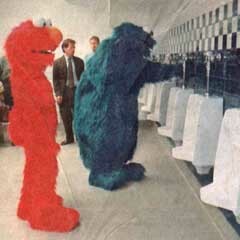 One stomach pump later, the Cookie Monster figures out it wasn't mint after all. --Torc. Here's a little photo I like to call Voting in Florida. --Torc.